Although with endless possibilities, it's hard to know exactly what you want until you see it. 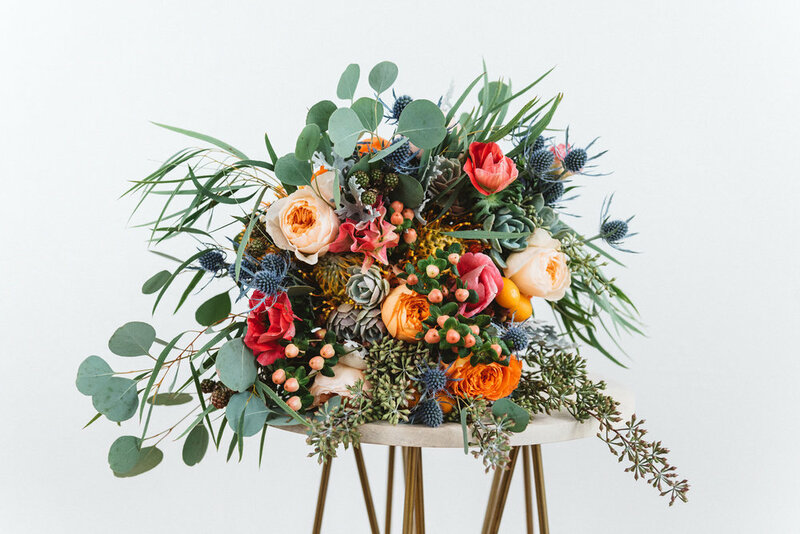 If you have a clear vision, speak with one our floral designers today and have them help create a custom arrangement to ring in the holiday season! Balance colors across a kitchen arrangement with varying textures in odd numbers to keeping it unique and compelling. Think outside the box when adding edibles and keep in mind seasonality! And hey! While we're in the season of giving, why not indulge in a little self-love and treat yourself to a beautiful bouquet?! Looking familiar? 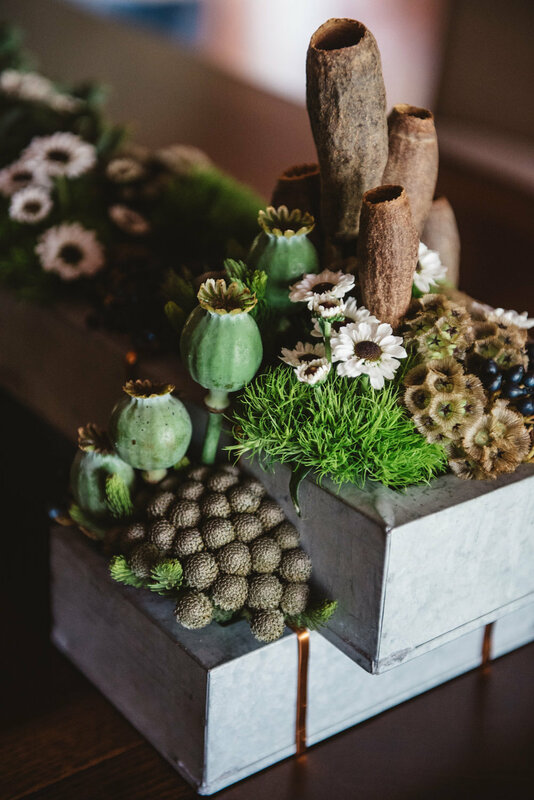 You may have seen a few of our arrangements featured in Gentry HOME Magazine's A Bloom for Every Room on pages 46, 48 and 50. Our 3-1 container arrangement is sleek, modern and short enough to have a conversation over. For a bedroom, a compact arrangement is versatile and appealing to the eye at any angle. Romantic cream roses and blues provide a calming palate for a bedside table. Pair with in-style blue and white pottery for a more classic look. Please note that these arrangements span the seasons and not every flower seen above is in season and thus, currently available. A few of our fall favorites include spider mums, oriental lilies, protea, sunflowers, calla lilies, snap dragons, gerbera daisies and roses. Stop in and let us help you create a spectacular arrangement today!